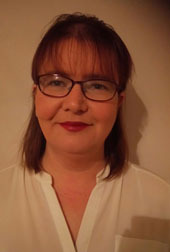 Fiona Helbert is a graduate of the BA (Hons) in Early Childhood Studies and Practice in NUI Galway and is undertaking an MA in Mentoring, Management and Leadership in the Early Years. Fiona has studied many courses over the years including Adult Learning, Training and Assessment with ECI, and High/Scope. Fiona has been involved in early childhood education for 18 years, working with the children as both a practitioner and a manager with 15 years spend managing Community Childcare Services. Fiona has also delivered quality training both accredited and non- accredited for the Early Years sector. She has a strong interest in the outdoors, physical activity, and continuous professional development for practitioners.